Have you remembered that incredible paper TV set for iPhone? 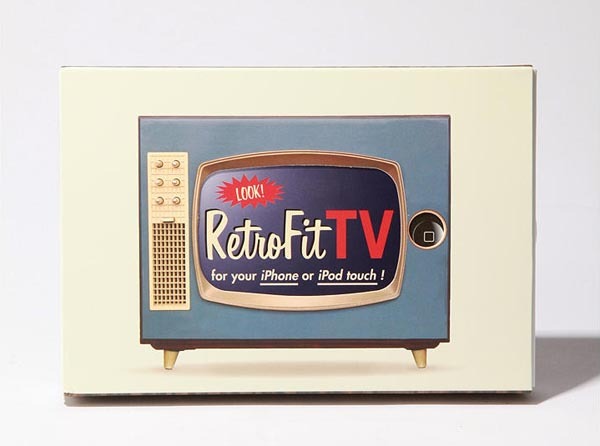 Now using the following iPhone case, you can also turn your iPhone or iPod touch into a retro TV set. 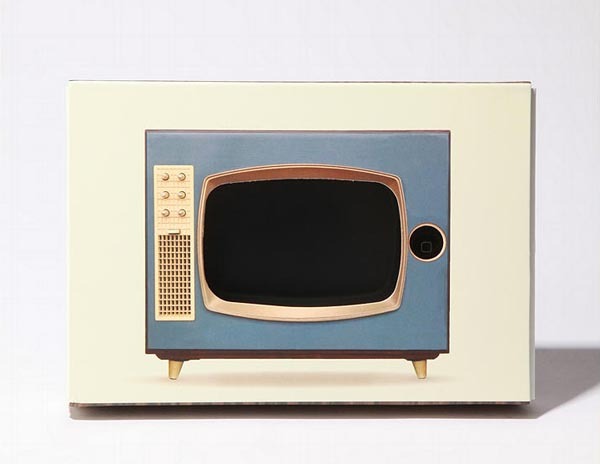 Similar with the former paper TV, the fun case is also a piece of paper craft called Retro Fit TV Case. The unique iPhone case is made of cardboard, measures 6.5 x 1 x 4.5 inches, and supports all iPhone and iPod touch models. Just put your iPhone into the case, you will gain a vintage television. Perhaps the name of iPhone stand more fit the paper craft. Retro Fit TV Case is priced at $6.95 USD. If you’re interested, jump to Urban Outfitters for more details. Of course, if you wish, it’s not a difficult thing to make the fun television shaped iPhone stand.